Hope you all are doing great! Today was my baby brother's graduation, he is officially an high school graduate! I am so proud of him. I went to his graduation ceremony and we partied afterwards. I will try and post pictures of my outfit tomorrow; here was my outfit for yesterday. I love the combination of the Black and Yellow! 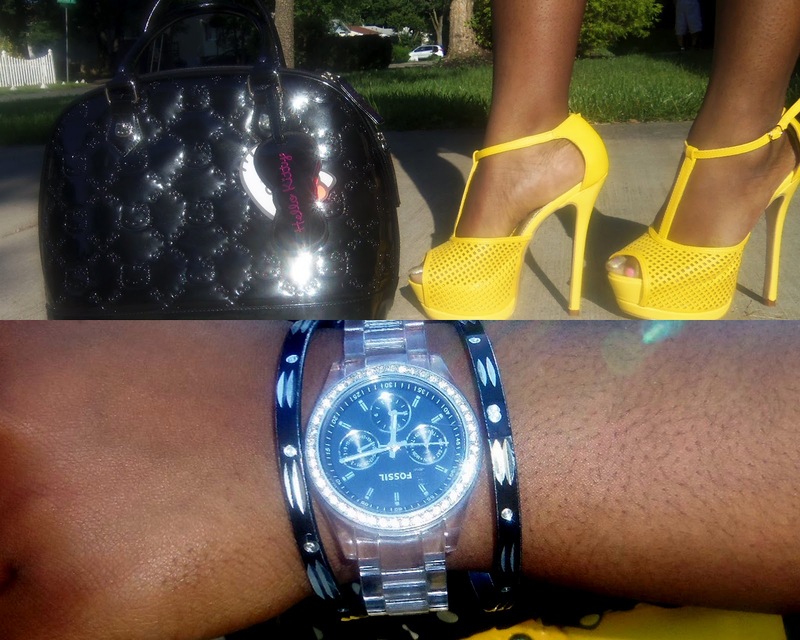 Black is such a neutral color that the pop of Yellow with my belt and heels completely transforms the outfit. Hope you guys like it! I am so tired, so am off to bed! Thanks for stopping by and have a nice weekend!